The world of automation has always had to reinvent itself, from the first mechanical loom that kicked off the Industrial Revolution to Ford's assembly lines and the use of programmable logic controllers and new IT resources to speed-up, expand and fine-tune mass production. Usually new acronyms and neologisms spring up like flowers to announce sweeping technical changes about to transform the industry. 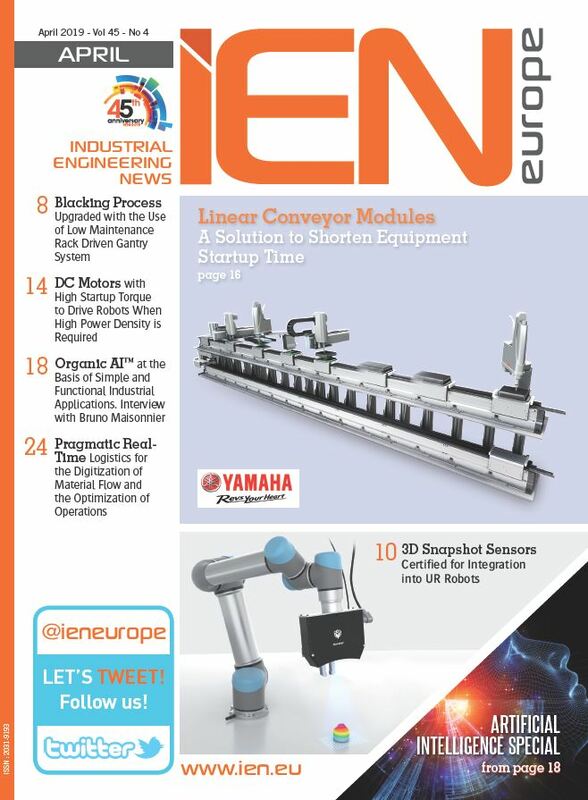 Automation managers and equipment OEMs are already hearing about IoT (Internet of Things), 3D printing, cloud storage, big data, and additive mass manufacturing. One of the latest buzzwords, "Industry 4.0," was coined by a group of German scientists and automation industry experts to describe the future intelligent interconnected factory, which will combine software, sensors, processors, wireless connections and the Internet to create a cyber-physical system which communicates within itself in real time, as personalized and customized products move smoothly down the same production line. The optimists claim that this new Fourth Industrial Revolution could lead to a 30% increase in industrial productivity by making it possible to "map" entire production units all the way from supplier to the ultimate customer. 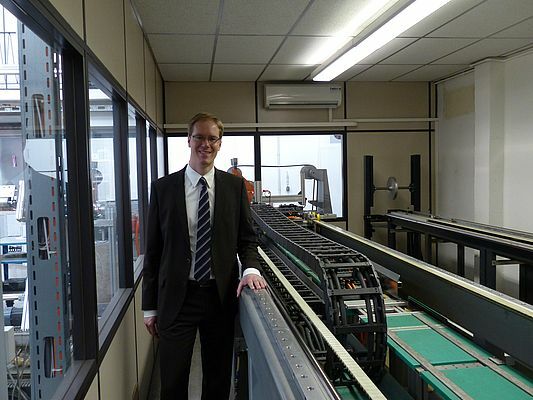 For Nexans' Automation Marketing Manager, Philipp Teepe, "if these dramatic changes are to succeed, it will not just be due to new equipment and software, but also to cables, which have always provided the nerves and sinews of the factory system. 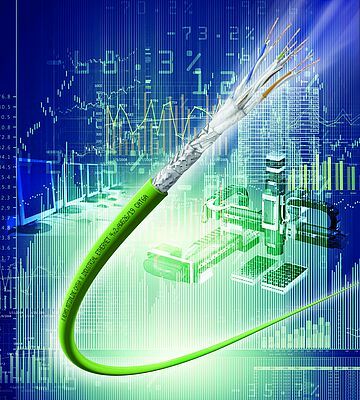 In particular, our new Category 6A Industrial Ethernet cable will be at the heart of the Revolution by providing high data rates with exceptional durability in drag chain applications." Manufacturers still need to merge information with energy, and only copper and other metals can combine data and electricity efficiently. For example, Power over Ethernet (PoE) configurations will lower installation costs, while greatly enhancing machine and robot capabilities. In addition to this new CAT 6A Industrial Ethernet cable, part of its global MOTIONLINE range, Nexans is also offering a Profinet Type C 4 pair CAT 6 cable for drag chain, Profinet Type A+ B cables for occasional movements and static application, and other common fieldbus protocols like CAN, Profibus, ASI-BUS, and DeviceNet. This reaffirms Nexans' commitment to offering a full range of Bus and Ethernet cables to make a seamless transition from current layout to future Industry 4.0, if customers should decide to take that route. If Industry 4.0 happens, it will be a game changer. In the past, fieldbus protocols transferred data between machine controls and the device to drive the machine, with sensors and encoders feeding back limited information. Information requirements are increasing exponentially. There is a need for more interconnection (because machines are now speaking to each other). There is also a need for flexibility since different products are now being produced on the same line without changing the basic setup. Finally, there is a need for on-line quality monitoring and high-speed analysis that can generate feedback for operators and plant managers. Philipp Teepe explains: "There are demands for faster lines, and more final-customer information built into the product from the outset (like color, design, add-ons). Moreover, you need self-monitoring of machinery for preventive maintenance. You don't want to replace good machine parts that are still functioning perfectly; but neither do you want to have a costly breakdown." "There is also the question of machine safety for the operator," he continues. 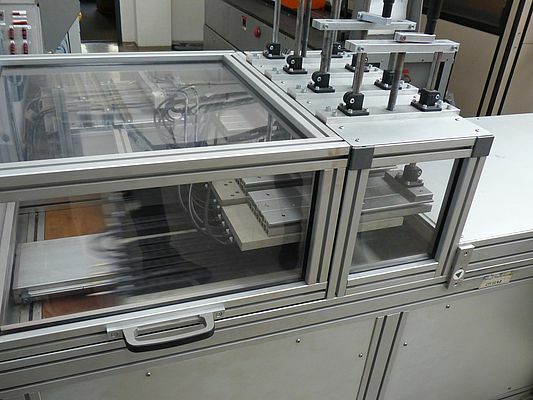 "The old way was to simply shut the access door and stop the machine or robot completely when someone was entering a danger area; but due to new regulations, it is now possible to reduce to a safe speed in case of teaching, problem-solving, retooling, etc." All this involves more sophisticated sensor and machine control technology and increased data traffic. Since machines, control systems, and people are now interconnected, this requires high-performance cables that can handle much higher data volumes. Why upgrade to MOTIONLINE CAT 6A Industrial Ethernet? Currently, CAT 5e Ethernet and the data rates of diverse field bus technologies, like CAN, Profibus, etc. are still quite sufficient for most chain applications. But as Industrial Ethernet is rapidly being deployed at the field level, and the data volume is steadily increasing, we see the need for more Ethernet CAT 6A chain cables in the near future. That is why Nexans wanted to enhance its MOTIONLINE offer with a Category 6A Ethernet cable for drag chain applications, offering outstanding characteristics in every way. In other words, applications requiring high data rates in drag chains are still limited, but soon new requirements will require better cable support to operate smoothly. For example, high-speed cameras, or high-resolution 3D scanners that can move with or around a product. In the past, vision systems were usually big and fixed. But there are more and more applications that require close proximity and higher-resolution more often, without the necessity of bringing the product to the camera. "In-line Vision systems" can check quality all the time to reduce culls and waste. This requires cables with much higher data rates, the ability to withstand strenuous repetitive movement, and an extremely small bending radius. This is exactly what makes Nexans MOTIONLINE CAT 6A Industrial Ethernet unique. Not only can it provide frequencies up to 500 MHz and is suitable for 10 Gigabit Ethernet, it has outstanding performance in terms of reduced crosstalk and system noise, and can withstand three million cycles at 10xd (i.e. 10 times the diameter of the cable). Also its outer PUR outer jacket is halogen-free to protect people and equipment in cases of fire, and is abrasion and oil-resistant. All of these features are essential for Industry 4.0, machine-to-machine intercommunication, IoT, and satisfying the need for more data volume and real-time applications at field level. Thoroughly tested for high durability in Nexans' Motion Application Center in Nuremberg, this new cable fully meets all relevant standards, like UL/CSA (AWM). Philipp Teepe concludes: "The real challenge that Nexans met was not just designing a CAT 6A cable able to carry a significantly higher amount of data (CAT 6A already exists), or making a cable that was extremely tough, flexible, and compact. It was combining both of these pressing customer needs in one cutting-edge product. Three million cycles at 10xd is a new benchmark for CAT 6A Industrial Ethernet." Yokogawa's global network of 90 companies spans 55 countries. Founded in 1915, the US$4 billion company conducts cutting-edge research and innovation. Yokogawa is engaged in the industrial automation and control (IA), test and measurement, and other businesses segments. The European & Africa headquarters were founded in Amersfoort in the Netherlands in 1982. Throughout Europe and Africa Yokogawa has its own sales, service and engineering operations. 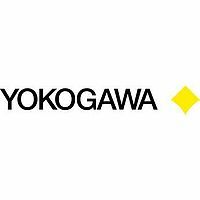 Yokogawa develops and produces flowmeters at Rota Yokogawa in Germany and liquid analysers and industrial safety systems in the Netherlands. Yokogawa's DPharp differential pressure & pressure transmitter offers precision, accuracy, long term stability with low Total Cost of Ownership and multi-sensing functionality. Certified to IEC61508 as standard for single use SIL2 and dual use SIL3.